DESCRIPTION: An Emrynt Stag and his home. 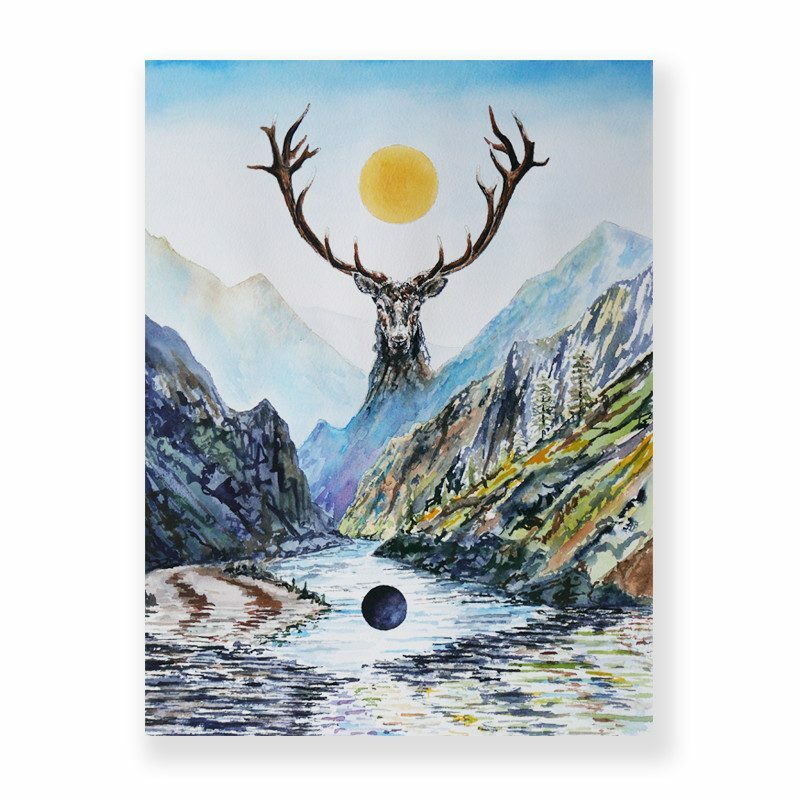 His Ancestors were Red Deer and now he lives in the Wilderness of the River of No Return. Below him a mass of unknown matter begins to align with the Solar Disc.